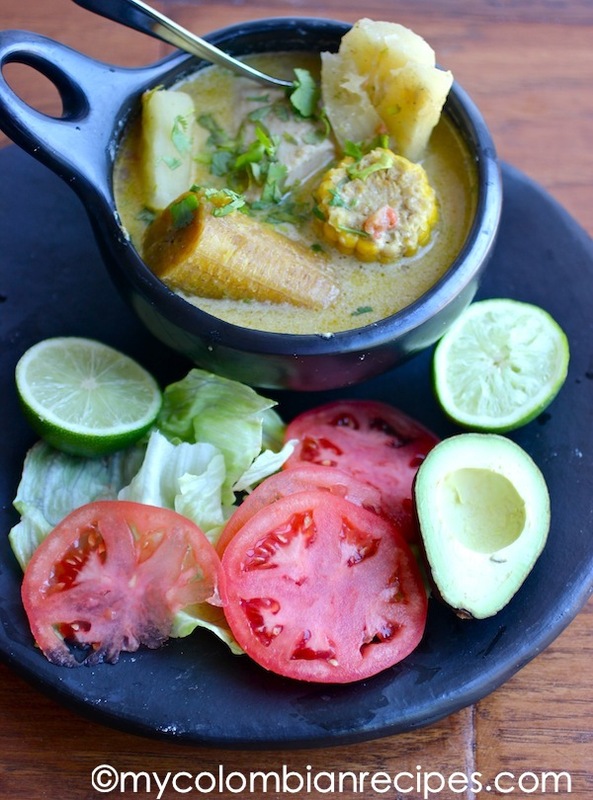 Sancocho de Pescado con Coco is a traditional Colombian soup from the coastal region of the country. 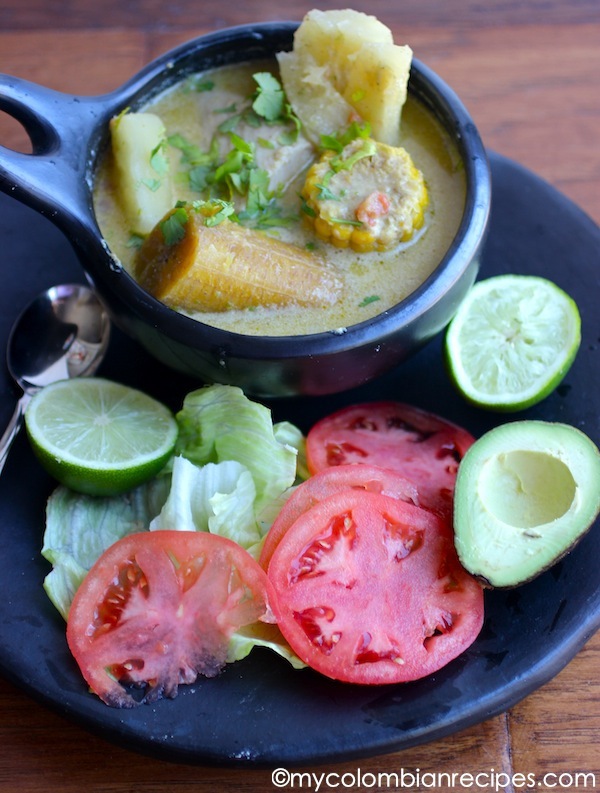 This Fish and Coconut Soup is thick, almost a stew, and the combination of flavors is wonderful. I love this dish and make it often. The fish balances out the sweetness of the coconut milk perfectly. Traditionally this soup is prepared using homemade fish broth, which is usually made with fish heads and bones, but you can also use store bought seafood stock like I did, or just use water instead. The soup came together quickly and was in the pot simmering away in no time. 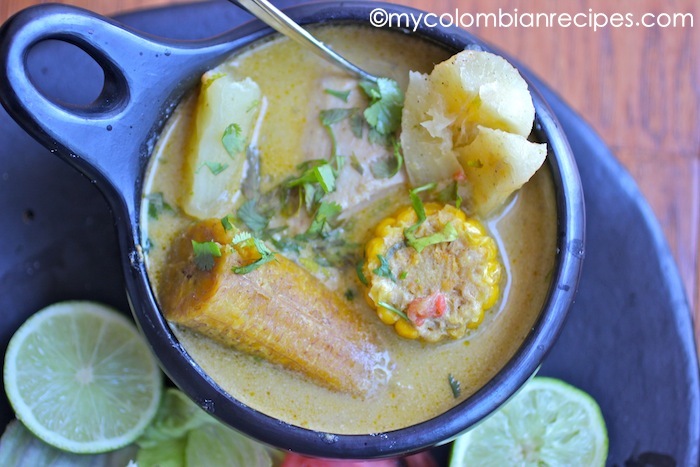 The aromas coming from the pot and throughout the kitchen transported me back to my trips to Cartagena. 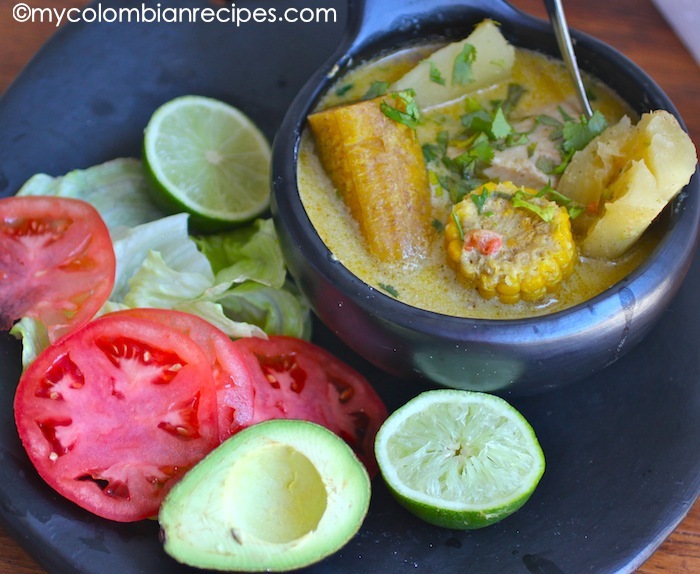 Creamy, comforting, flavorful, and addicting, this Sancocho de Pescado con Coco is a winner. Cook’s note: You can make your own fish stock using 1 pound fish heads and bones, water, onion and garlic. Cook for about 30 minutes and strain the broth. 2 pounds white fish fillets (mahi-mahi, halibut, swordfish, cod or sea bass), cut into large pieces. Heat the butter over medium heat, add the onions, garlic, peppers, tomatoes, scallions, achiote powder, cumin, and salt, and cook over low heat until the onions are tender, about 10 minutes. Add the fish broth and bring to a boil. Add the corn, plantains and yuca. Simmer for about 30 minutes or until the vegetables are cooked. Add the coconut milk and fish, cook on low heat until the fish is cooked, about 8-10 minutes. Sprinkle with the chopped cilantro and serve warm with lime wedges. It’s a perfect combination of flavors! Uumm! 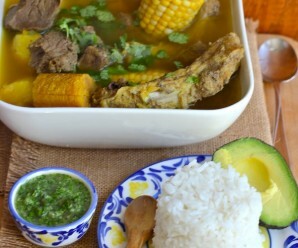 Esto es lo que se llama un sancocho levanta muertos. En mi tierra lo comemos muy a menudo. 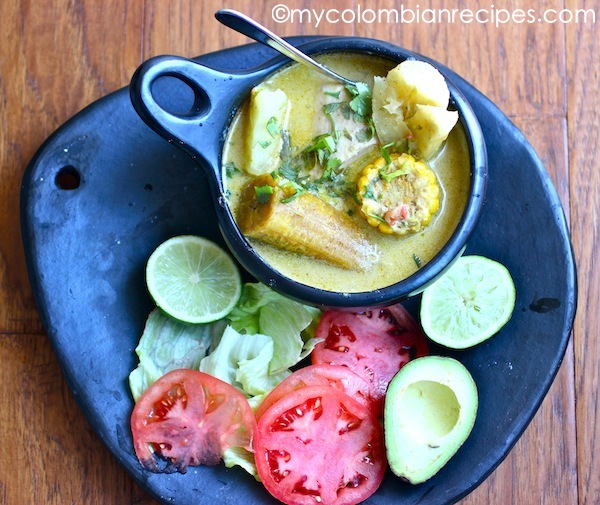 I am of Colombian descent and have been looking for some really good Colombian recipes. I came across your website and have found it to be very helpful. Thank you for your lovely recipes! 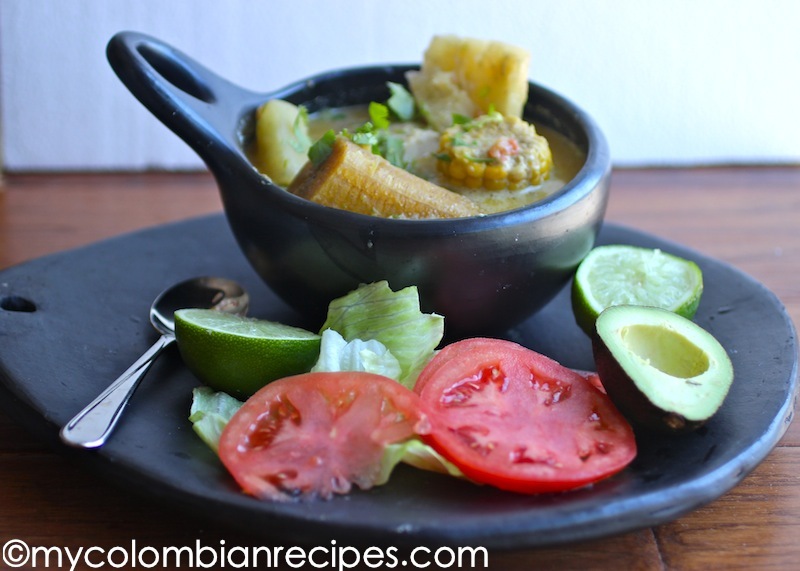 I made the “Sopa de Pescado en Coco” yesterday and it came out delicious. The flavors were amazing. Looking forward to try more of your recipes. 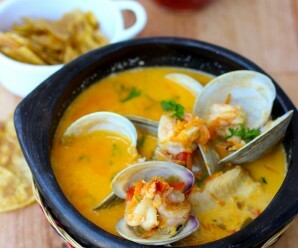 I really enjoy a good fish stew, with coconut it will be that much the better. never made my own fish broth though. Looks wonderful. 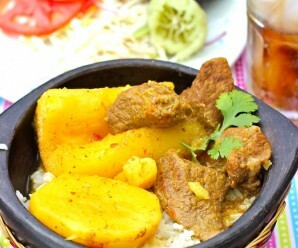 SUS RECETAS ESTAN ESPECTACULARES.GRACIAS POR DARNOS ESA DICHA DE ENCONTRAR RECETAS VARIADAS DE NUESTRO DIFERENTES DEPARTAMENTOS. FELICITACIONES Y COMO LO DIJE EN UN CORREO ANTERIOR ORGULLOSA DE SER COLOMBIANA.HAY QUE MOSTRAR LO LINDO DE MI TIERRA COLOMBIANA NUESTRA CULTURA NUESTRAS RAICES, NUESTRA GENTE ,EL EMPUJE QUE LOS COLOMBIANOS TENEMOS PARA LUCHAR.NO TODOS SOMOS MALOS.EN LA VINA DEL SENOR HAY DE TODO. VIVA COLOMBIA. 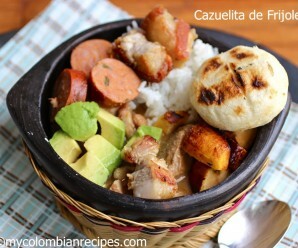 LA FELICITO POR DAR A CONOCER NUESTRA COCINA COLOMBIANA A OTROS PAISES. DELICIOUS. I’ve made it twice in one week, at the behest of my husband & kids! !